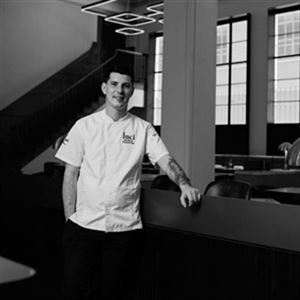 Innovative food, fine wine, creative cocktails and engaging service. We specialise in degustation menus, offering 9, 7 or 5 courses. Relax in our dynamic, yet intimate setting. Enjoy the open kitchen to observe the techniques and prowess of Sam's team as they prepare each dish. Each creation is individually served with the story of its inception imparted to you by our gracious and knowledgeable wait staff. Should you wish to complement your degustation adventure with matching wines; our sommelier has selected the perfect accompaniment to enhance the flavours in each dish. Be intrigued; discover a new palate! "One cannot think well, love well, and sleep well, if one has not dined well." Where do I start? I haven't been to room81 for 2 years now. The change is extraordinary. Being a huge food lover, I naturally went with the 9 courses with matching wines. At $120 plus $60 with matching wines was absolute bargain. (I've been to restaurants where the food was half as good, half the size and double the price). The service was phenomenal; with the right amount of attention without being overbearing. Each dish was beautifully presented and well explained by our waitress, with wine matching that is the best I've come across in a long time. The highlights for me were the onion soup and the pork & apple dish. I've never had such deep and meaningful onion soup before, with such a incredible balance of flavours and a delightful crunch texture from their sourdough stick. Sensational! 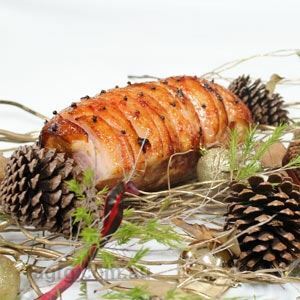 The pork on the other hand really showed that you don't need many ingredients to create wonderful dish, but the right ingredients with the right balance will beat an over complicated and complex dish any day of the week. 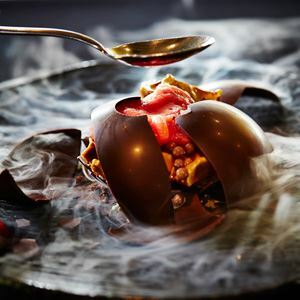 Whenever I go to a 'fancier' restaurant, naturally I would have a higher expectation and room81 has far exceeded those expectations and made it one of, if not THE most memorable dining experience I've had in the last year. Two thumbs up and well done! Room81 you have done it again! Amazing as per usual, the kurobuta pork jowl was the winner! Very impressive food....they are doing stuff way beyond other Gold Coast restaurants. Bar can be slow, but the service and cocktails makes up for the wait. Overnight stay at Sofitel did surprise us with this restaurant. Food beautifully presented and the Sphere dessert was to die for. Had no idea how good this experience turned out to be. Best meal I have experienced. I told waitress who was the best that I thought I had died and gone to heaven. Top marks to all on that night of 6th August. Our first time at Room 81, recommended to us by friends from Melbourne. We chose the degustation menu with matching wines on friday evening. My husband and I sat outside on the terrace and enjoyed the sunset, with a glass of champagne. Be sure to come in early for this great atmosphere, the tasting menu also takes a few hours so this worked out well. The bread was a semolina, grain and seed with its chewy crust. 'Very good'. We had a second serve, this was also complementary. The use of flavours and textures the newly appointed chef creates with his team are simply amazing. He came out and welcomed us and later sent us a complementary mid course. The scallop ceviche with horseradish snow was served over a chilled smoking bowl of dry ice. Visually spectacular and the taste sublime. The service is quick, friendly and professional whilst not being intrusive. Each course is given a brief explanation with a different wine pairing. Apart from a noisy group of men that arrived later in the evening the night was perfect. Value for money is good, we would recommend this restaurant to couples looking for quality. We will be back. We have had several meals there and enjoyed the experience so much. The food is world class and the service from the staff exceptional. Would like to make special mention of Sally van der Merwe. She is very efficient and welcoming.